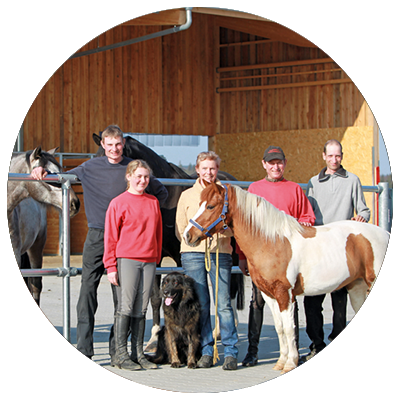 This horse walker is technically the same as the Ground-Standing Horse Walkers. 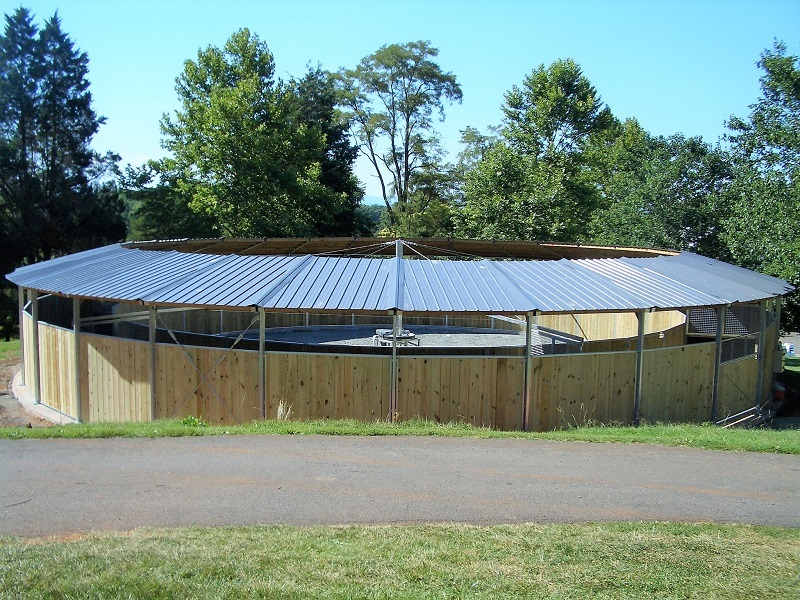 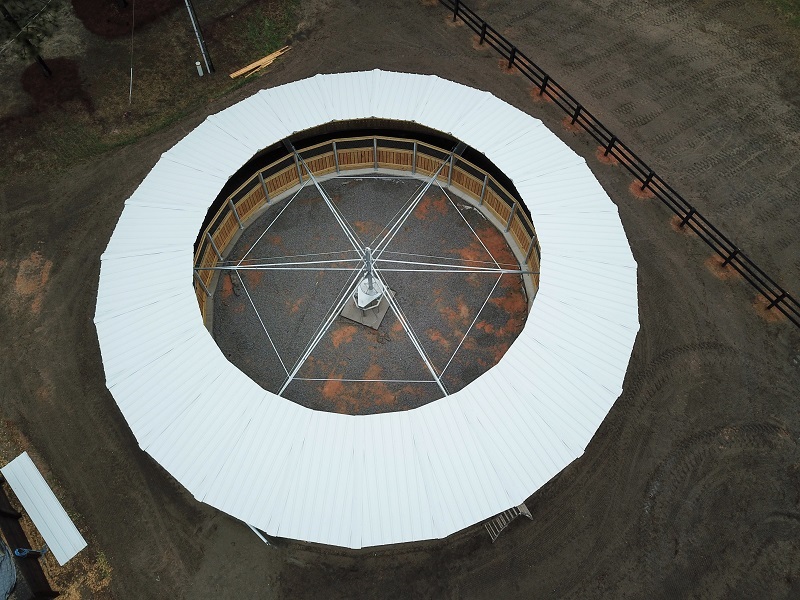 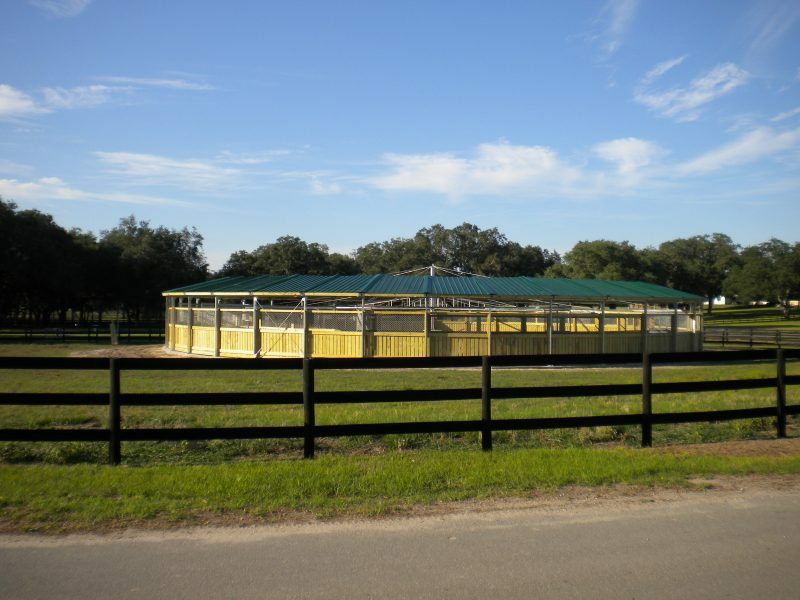 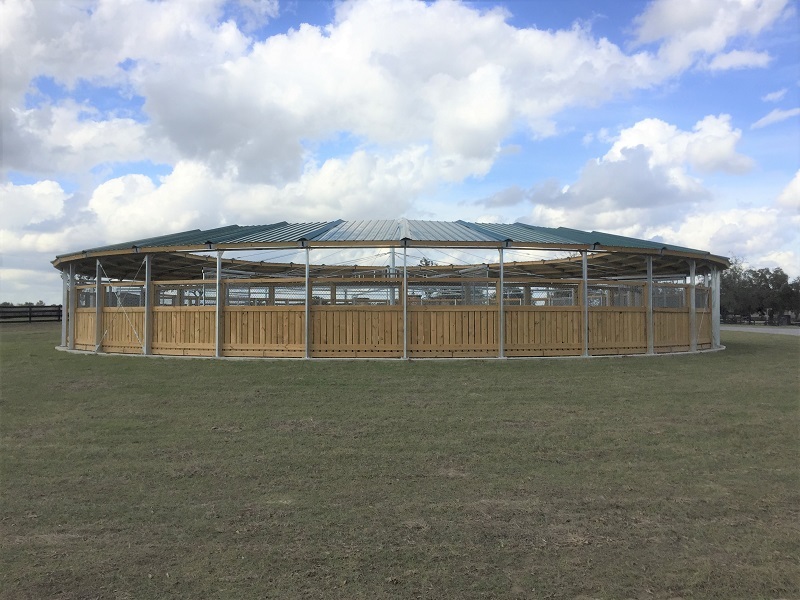 It includes a partial roof that protects your horses from wind, rain and sun. 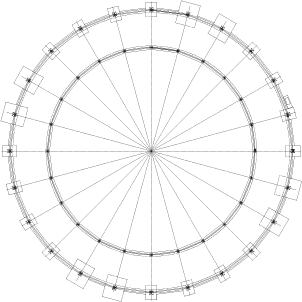 This is an ideal and reasonable solution if the inner area is not needed.